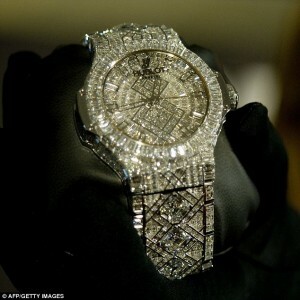 SWISS watchmaker Hublot has unveiled the world’s most expensive watch with a price tag of $US5 million and inlaid with more than 1200 diamonds, including six stones of more than three carats each. The watch too 14 months to manufacture and has reportedly been sold to an “Asian retailer”. This entry was posted in Authentic and tagged hublot. Bookmark the permalink.